In a frying pan over medium/high heat, cook and crumble the sausage until you see no more pink. 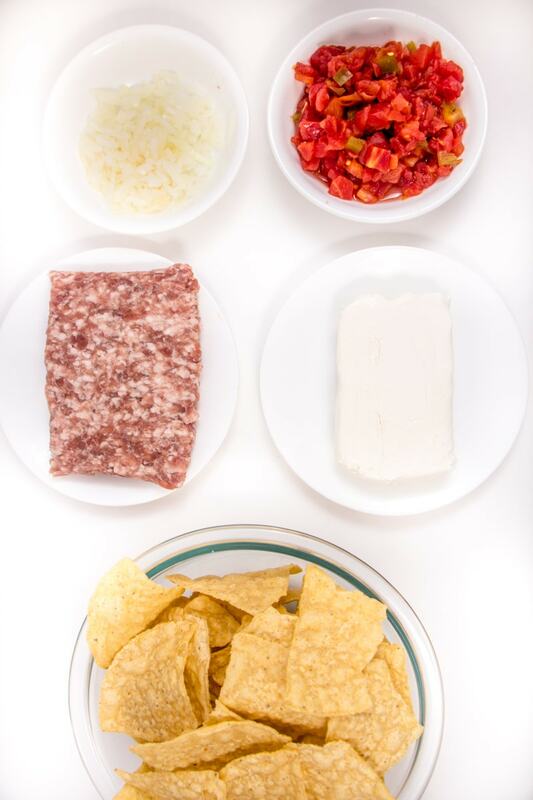 Drain off the excess fat and set sausage aside. 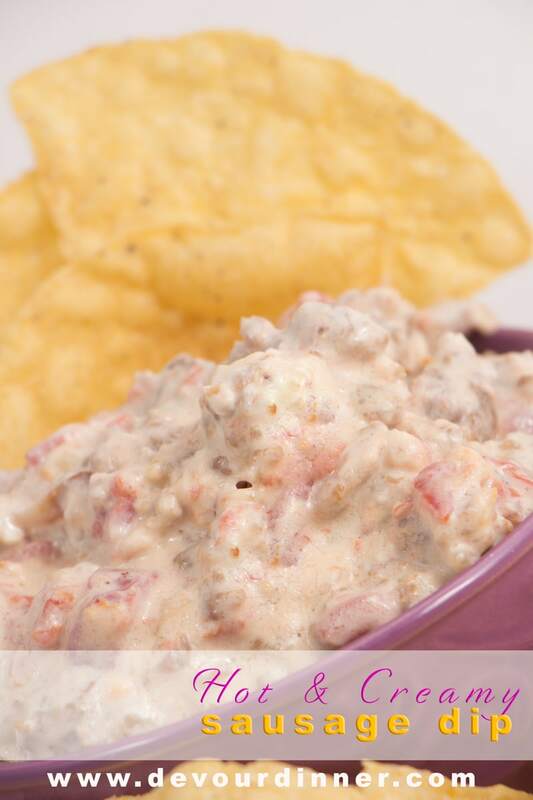 In your Crockpot, dump cream cheese, sausage, and Rotel tomatoes. Then leave it to cook on low for 1-1/12 hours. After 15-20 minutes give it a quick stir to mix everything together. It’s smells so wonderful at this point, but let it cook just a little longer. It’s so worth it. 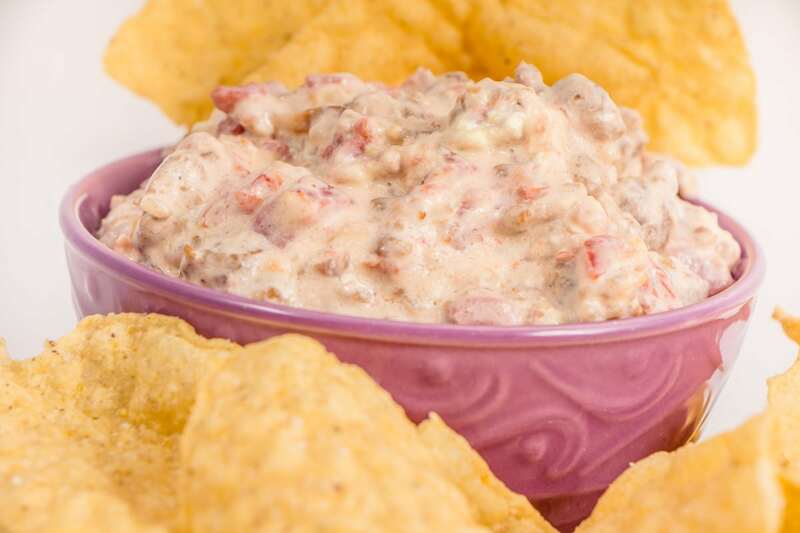 Hot and Creamy Sausage Dip is really this easy and is a total crowd pleaser. 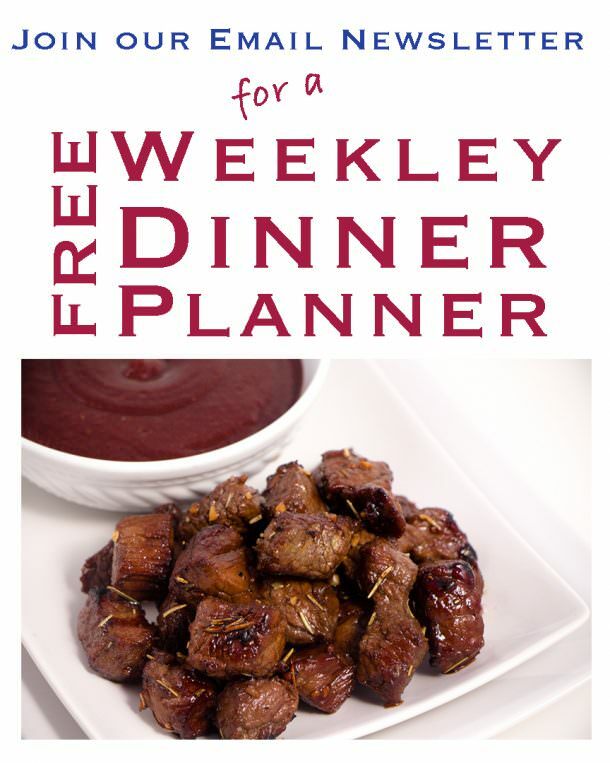 You can also cook this up on the stove top. 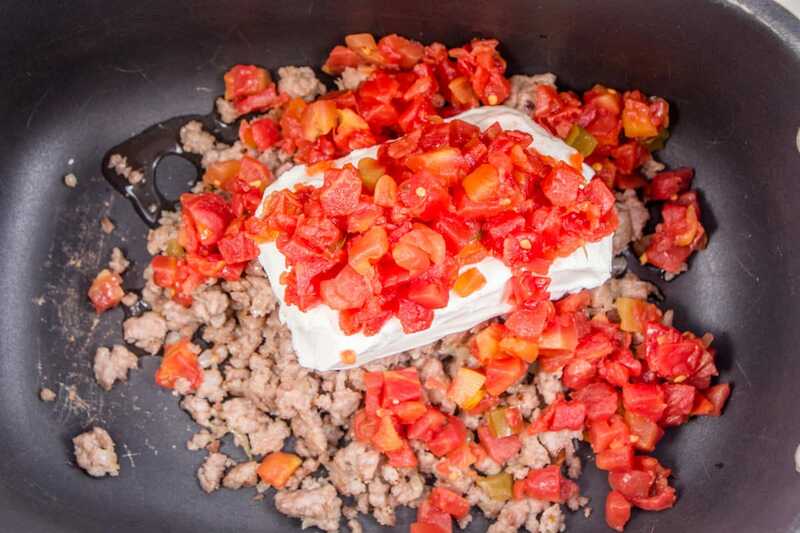 Just use a sauce pan and dump in all the ingredients over a med/low temperature until the cream cheese has melted and you can stir it all together. 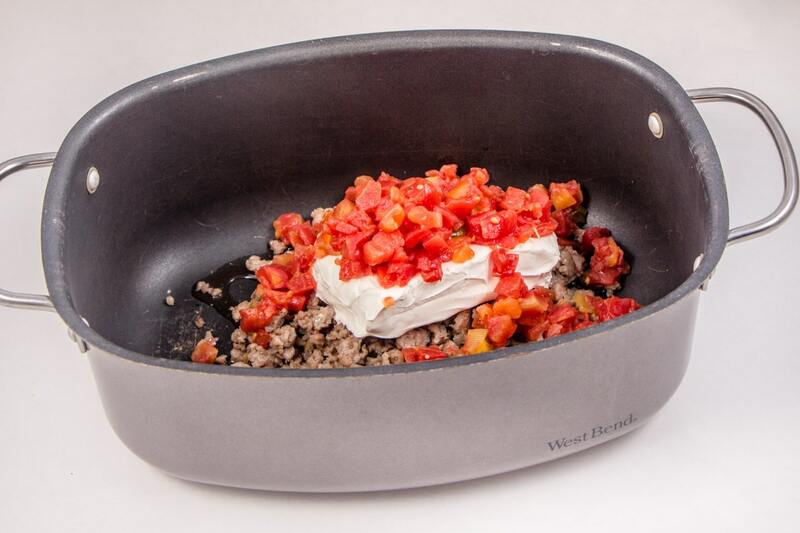 Then turn to the lowest setting, cover the sauce pan and allow it to simmer for about 12-20 minutes. It whips up quickly and will taste the same. 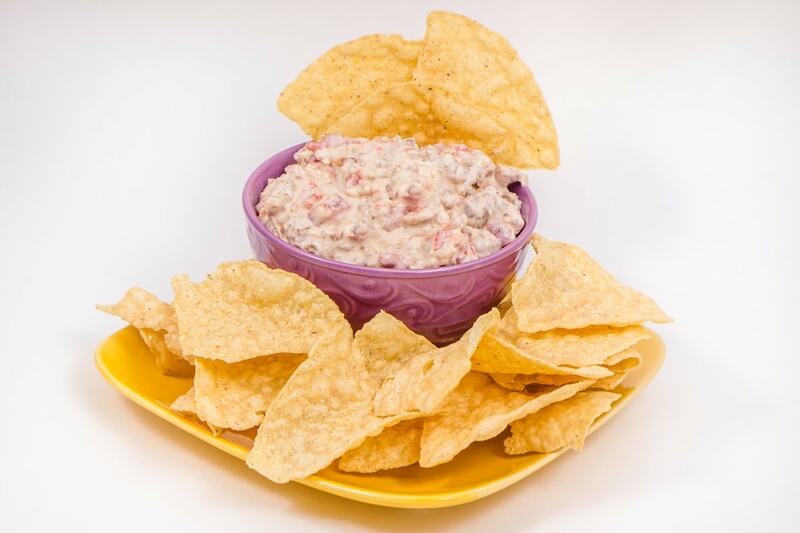 In my family of all boys, this dip is devoured within minutes. I always make a double batch, but it never lasts long enough. 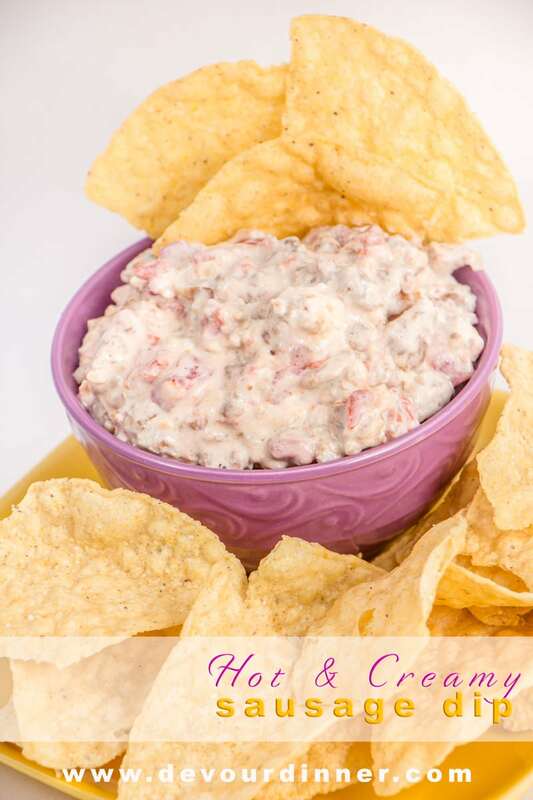 Give this recipe a try and let us know how you like it. 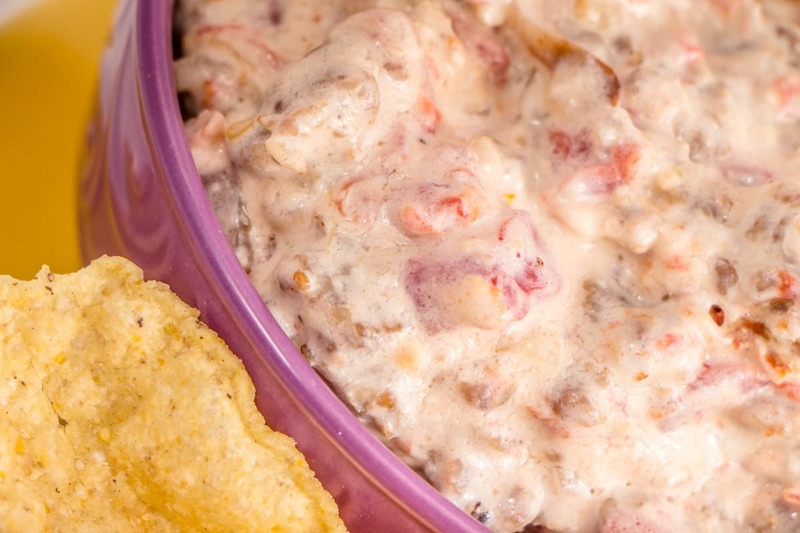 Even when making this recipe, it lasted about as long as it took to put it in the bowl. Believe it or not, this is a full batch, so just double up. 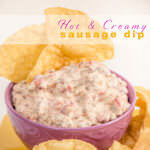 Hot and Creamy Sausage Dip full of flavor, wonderful for parties, football games, or an afternoon snack. In a frying pan over medium/high heat cook and crumble sausage until no more pink. Drain excess fat off.